Deputy Secretary Whitney Doll announced visiting guests and Rotarians. The guest speaker, Amb. Ivan Korcok, Ambassador of the Slovak Republic to the United States, was introduced. 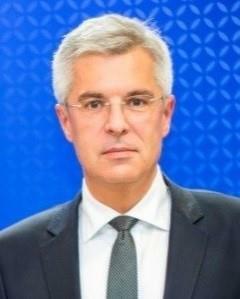 Ambassador Korcok was named Ambassador to the United States in 2018. Prior to his posting in Washington, he served as State Secretary of the Ministry of Foreign and European Affairs of the Slovak Republic (2015-2018). Among the positions held over his 27-year diplomatic career, Ambassador Korcok has previously served as ambassador to the European Union and ambassador to Germany.